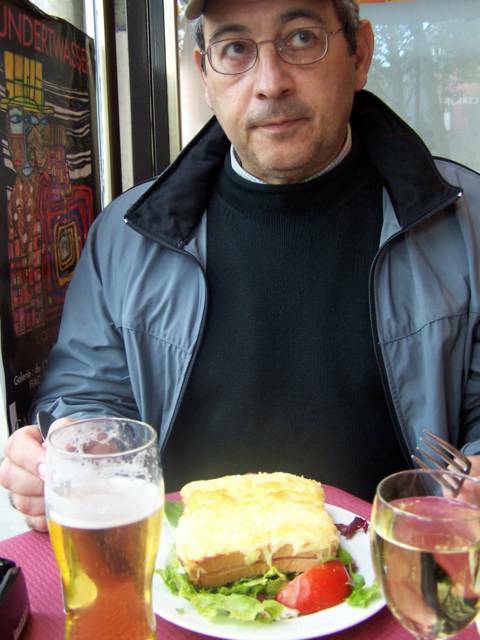 We always look forward to having a Croque Monsieur when we're in Paris. It's the French version of the grilled cheese sandwich...much richer and more wonderful than what we're used to because A)The cheese is real cheese, that is made with unpasturised milk thus much more wonderful tasting. B) The French just do bread better than anyone else, not just French bread, all bread. C)It always contains a copious layer of bechemel sauce and a slice of Parisian ham...Enough said.